As one of the most inspiring, energetic and informative Motivational Speakers and Motivational Sales Speakers in South Africa. I am the catalyst for positive change. Transforming businesses by revitalising their teams and improving their performance and results. 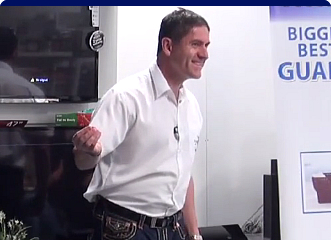 Andrew Horton is one of the most sought after Motivational Speakers and Motivational Sales Speakers in South Africa. He is a successful entrepreneur, Master Sales Trainer, Global Traveller and Author. Andrew has chosen to focus his energy on inspiring sales and business professionals, supporting them to realize their full potential and become peak performers. Andrew is easy to listen to, and in addition, very inspiring. He speaks on personal mastery, self-reliance and how small positive behavioural shifts will result in dramatic improvements in performance and results. Andrew conveys his energizing message using personal stories and his engaging sense of humour. This helps him connect with and capture the attention of every person in his audience. 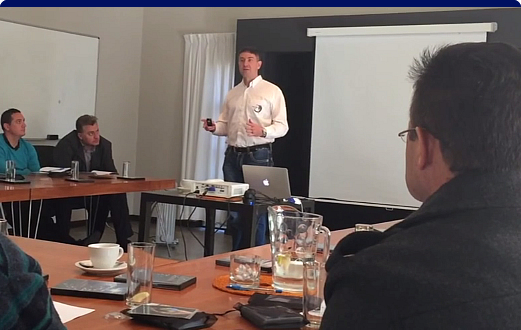 He specialises in helping teams become re-energised, motivated and driven to succeed. Despite the constant change they may experience. To this end he has designed a motivational processes, which will help your team to uncover their inner giant and help them to perform at their best. 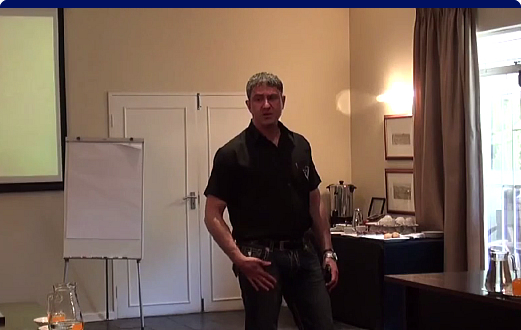 He delivers an energising, informative and entertaining inspirational and motivational presentation. Which, will re-ignite the fire of inspiration within your team and help them to discover their lost passion once again. He works with teams, who lack motivation. Who want to be re-energized and inspired once again, so that they can consistently tackle all their daily tasks with passion and purpose. 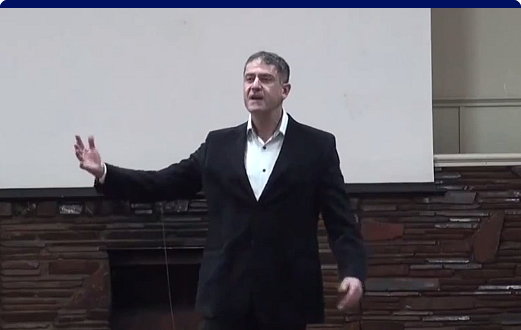 What separates Andrew from any other motivational speakers and motivational sales speakers is that – in addition to his practical and proven motivational programs, inspirational tools and re-energizing techniques – he also offers innovative, proven motivational support tools which enhance the motivational process. This through repetition, reminders and the formation of a motivational success habit set. As a result his clients see their team members positively shift their behaviour where they apply the tools and motivational skills they learn. This means that they get to see huge improvements in their level of motivation, optimized results and a team who optimise the use of their available time. Therefore, organisations actually get to see a meaningful return on their training investment. At Encore Group, as a result, all our industry leading Motivational Sales Speakers and Motivational Sales Trainers believe that they can “Make Your “Tomorrow” better”. We achieve this by supporting both you and your team with life changing Motivational, energising and life changing presentations. As a result this will guide both you and your team to reawaken your drive and passion for success once again. If you want to furthermore reach the next level of accomplishment as a sales professional. You will need to find innovative and effective ways to re-energise. As well as motivate yourself and your team. Our main objective? 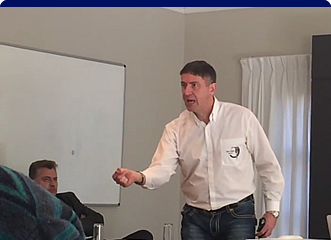 When we facilitate Motivational sales workshops, we help all attendees discover the underlying reasons for their lack of motivation. And, then help them to re-ignite the fire of inspiration in their own bellies. 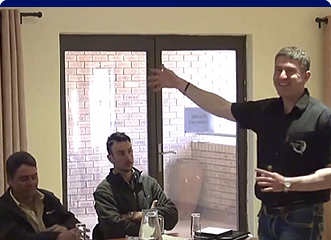 Our three-month motivational program consists of six powerful and meaty modules. Each designed to give you a highly potent dose of motivation. Therefore with small powerful sessions to help you improve your level of motivation and re-energise your team. This motivational program is spread over three months. Why? Because this is to allow your sales team to completely engage with and embrace the motivational tools and principles.